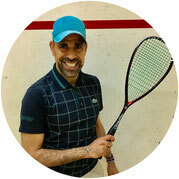 Sayed Selim is a world-rewonwned squash coach who has specialized in junior players for more than 25 years and has mastered a systematic regimen to develop players technique, form, and style. He brings passion, energy, and a true love for the sport. 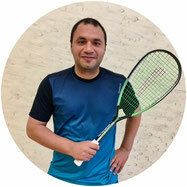 He is known for producing several top junior players in Germany and USA. Amr Yehia was Top 5 Worldwide as a player in Juniors and considered one of the most prestigious Egyptian coaches who is known for training some of the top Professional players today and bringing Juniors to the National Championships. He is recommended for JCT level and all other intense players. 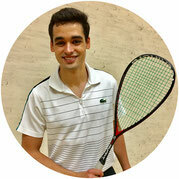 Karim Amir was one of the top junior players and is currently a PSA player. He has worked under several top coaches including his father Gamal Amir. Through this experience he has become to be a very patient, motivating, and energetic coach. He has also worked with several top junior players and often coaches them at elite tournaments worldwide. copyright 2017 - Tuckahoe Squash, Inc.